For every school where Ankara citizens will be casting votes, there will be a lawyer. This assertion was announced through a statement on Wednesday by the Ankara Bar Association. Turkey will go to the polls on March 31. Throughout the election season, numerous fraud allegations have emerged, claiming voter figures were tampered with in some districts, and that ‘imaginary voters’ were registered. Some provinces saw an unusual rise of registered voters, compared to previous elections, according to opposition parties, on par with the allegations. The Republican People’s Party (CHP) MP Gursel Tekin previously called on opposition parties to assign three clerks to each ballot box, in a bid to secure election safety. The Bar Association in Turkey’s capital city cited the Turkish Attorneys’ Act, which gives attorneys the duty to protect the rule of law and human rights and to bring these notions into force. “In order to ensure the free exercise of the rights to vote and to hold office. We aim to assign a lawyer for each school in Ankara,” read the statement by the Bar Association. The fresh memories of Turkey’s controversial elections in the past five years, has prompted opposition parties to handle the process with more cautious than ever. 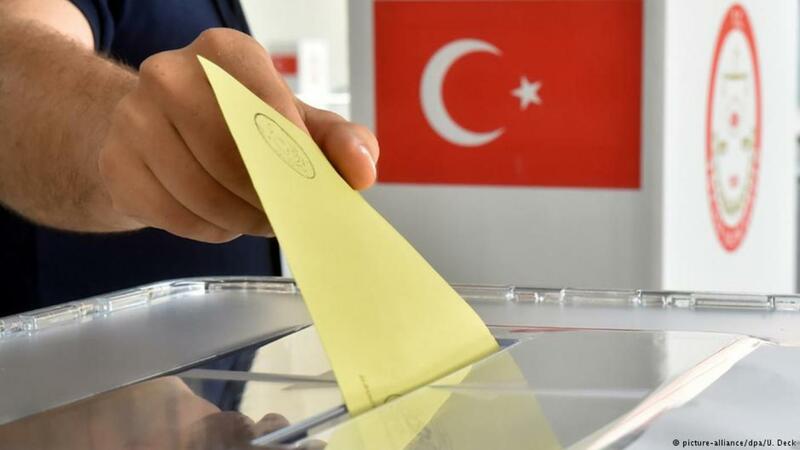 The last two polls in Turkey, namely a referendum to amend the constitution to change the parliamentary rule with a presidential one in 2017 and the general elections of 2018, were held in the state of emergency declared after the failed 2016 coup. The previous local elections in 2014 were controversial, with the sudden cease of vote count for the polls in Ankara as the CHP candidate Mansur Yavas’ vote numbers were on an upward trend that would see him win the election against the ruling Justice and Development Party (AKP) candidate, Melih Gokcek. Yavas initially declared victory, however, amid the allegations of stolen ballot boxes and raided polls by the AKP mob, the Supreme Electoral Board declared victory for Melih Gokcek. Yavas was nominated as the opposition’s joint candidate for the Ankara Metropolitan Municipality again for the 2019 local elections. His statement came on the same day with the Bar Association’s announcement, saying in order to make sure the events taking place in March 2014 will not repeat themselves again the election, safety must be ensured by the opposition’s polling clerks.